Learning the correct legal terms for the field of law in which you plan to work is essential for a paralegal. Here at Northwest, our Paralegal Studies Course offers you the opportunity to learn those terms from a seasoned attorney, experienced in practicing law here in Nevada. To help keep them fresh in your mind, we’ve put together a series of articles listing legal terms every paralegal needs to know, along with the brief explanation of what they mean. 1. Adjective law – Also known as adjectival law, adjective law is a collection of laws that deal with procedure or practice. This collection of laws prescribes the practice, method and procedure by which substantive law is enforced. 2. Civil Law – Civil Law, as opposed to Criminal Law, applies to the settling of disputes between private citizens or entities. The term can also be used to refer to Roman Law, a body of laws and practices originating in Europe with the base concept that it’s core principles are codified into a referable system which serves as the primary source of law. 3. Cause of action – A “cause of action” is the prompt for a complaint or suit filed by one entity against another. There are a number of factors that can constitute a cause of action, such as breach of contract or malpractice. 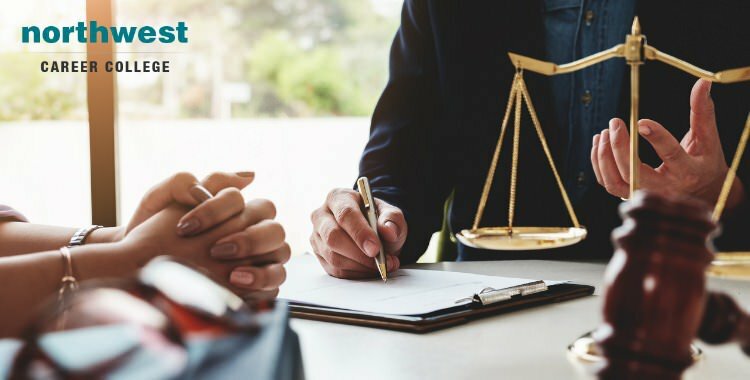 In order for the plaintiff to win the case in questions, the cause of action is broken down into its constituent elements and each of those elements must be proven to be true. 4. Contract – A contract is an agreement between two or more parties that specifies something they will do or will not do. Examples of actions which a contract might govern can include the supply of good or services or the non-disclosure of sensitive information. 5. Consideration – In order for a contract to be valid it must contain some form of consideration. Consideration requires an element, considered to have value to the parties entering into the contract, to be exchanged for the performance, promise of performance or forbearance of performance by another party. For example, a contract can show consideration if goods are exchanged for payment, even if that payment is of a nominal amount. If the contract stipulated that one party would provide goods without receiving anything in return, then there would be no consideration and the contract would not be valid. Start Your Career As A Paralegal In Las Vegas Today!